Ramanattam is a dance form which has the theme of the story of Lord Rama. It is based on the story of the epic Ramayana. The reason for the creation of Ramanattam is that once Kerala Varma of Kottarakkara requested Manavedan for his Krishnanattam performers to his palace. But Manavedan rejected his request saying that it could be performed only from the Guruvayoor temple and also humiliated the King by saying that the people of South Kerala does not have the ability to understand the meaning of the play. The King felt very insulted and so wrote the Ramanattam immediately in the Attakkadha fashion. It includes dialogues and music. It was named as Ramanattam as an opposition to Krishnanattam. It was performed by the King himself and his soldiers. The Ramanattam was written in the Manipravalam style and consists of 8 volumes. The 8 volumes in the play are Puthrakameshti, Seetha Swayamvaram, Vicchinnabhishekam, Kharavadham, Balivadham, Thoranayudham, Sethubandhanam and Yudham. It requires 8 days to perform it fully. In this style of writing both Malayalam and Sanskrit are used. This dance is like drama and the artists were given special training on how to perform. 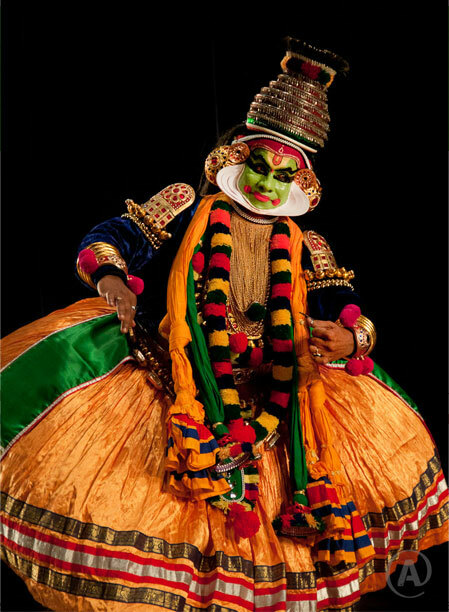 The costumes, music etc have some similarities with Kathakali. All these have been reformed and improvements have been made to this art form by Kalladikkodan and Kaplingadan. The importance is always given to hand gestures and facial expressions. Some of the similarities of Ramanattam and Krishnanattam are that the play lasts for 8 nights and the songs are sung by the musicians. There is difference between the two in case of their make ups.